FeastHome – Personalizing your kitchen decor is definitely one of the greatest ways through which you can get an enviable image. Unfortunately, not every home owner has what it takes to add a personal touch to their decor. But you no longer have to worry since this post promises to enlighten you on how you can make your kitchen unique by adding a personal touch to its decor. There are various ways through which you can introduce a personal touch when decorating your kitchen and this will mainly be determined by how creative you are and your personality. Therefore, it is important that you first have a clear understanding on the type of kitchen you want to own before you embark on the decoration process. Personalizing your kitchen does not necessarily mean that you have to break the bank. You can still achieve an enviable image at a minimal budget. All that you need to do is to get things done in a way no one has ever thought of before. 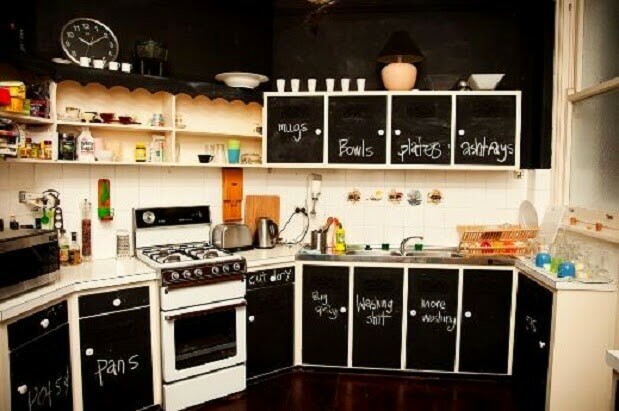 With that, here is how you can personalize your kitchen looks. Art is no doubt a powerful decoration tool that if used properly, can produce pretty amazing results. There are numerous forms of art that you can apply in your kitchen and this is where your tastes and preferences come in. These forms of art can be purchased or can be created at home depending on your artistic nature. The pieces of art will come in handy in complementing other decorative ideas as they bring on board an intriguing touch of sophistication to the kitchen. The various forms of art include: paintings, wallpapers, rugs, mats and colour combinations. To get the most out of kitchen art, you need to first consider the theme you have adopted for the decoration process. Applying colours on the kitchen surfaces is also a form of art that requires a personal touch. Moreover, colour is the major form of kitchen art that will yield eye catching results if properly done. How? You need to pick a colour that gives you satisfaction. On the other hand, you may decide to use different colours to enhance the artistic effect you hope to achieve. With colour combinations, you can rest assured that you will get an end product that cannot be found elsewhere. Apart from colours and pieces of art, kitchen plants will also have a lasting effect no matter how unimportant they may seem to be. Kitchen plants which are available in a wide range of options will introduce a natural balance which makes the room feel like you are in an eco-friendly environment. Now that the surfaces have started getting the visual effect you were hoping for, you should consider putting the kitchen space into good use by adding accessories. You will need to acquire various accessories/appliances that will help with getting things done in the kitchen. Upon acquiring the accessories, what you do with them will matter most. Among the important accessories that you will acquire include furniture, lighting system and cooking appliances. These accessories need to be installed in such a way that they can easily be used and at the same time create amazing visual effects. 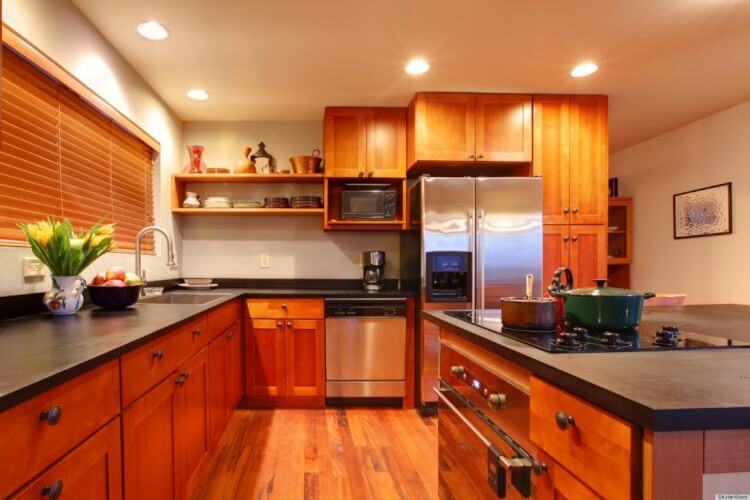 For instance, lights should be installed at the middle of the room especially above the kitchen work top. On the other hand, furniture should be arranged in a way that consumes minimal space that allows you to move freely around the kitchen. Having acquired and installed the accessories, you may decide to make them more vibrant and this can be achieved through decorating the accessories. You must be wondering how. Right? Well, not all the accessories can be decorated. However, there are those accessories that can be decorated to add glamour to your personal touch. For instance, you can paint your storage containers with your favourite colours to give them an artistic allure whenever you display them. Besides that, you can also use pots or bowls that allow you to display magazines or flowers in the kitchen. This move will certainly go a long way in proving how amazing your tastes and preferences are and at the same time declaring your kitchen as the perfect relaxation spot in your home. Personalizing your kitchen decor presents the perfect opportunity for you to enjoy every moment of owning a home since every aspect of decoration will feature a touch of your personality. Adding a personal touch requires you to come up with great ideas that will elevate the outlook of the kitchen considering the decorating process is expected to yield long-term results. When decorating the kitchen, you should be bold enough to experiment with any idea as it may turn out to be the move that will completely change the outlook of your kitchen. Remember, a perfectly decorated kitchen will naturally contribute to the general image of your home thus you cannot afford to make mistakes. To cap it all, if you have always wanted your kitchen to attain a certain look but you do not know what to do, these tips will give you an idea of what it takes to get that image you can always resonate with.